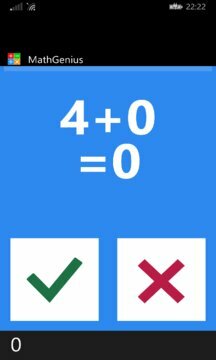 MathGenius is a new challenge for your math skills, a good brain training exercise that increases your mental thinking and your brain performance by train you day by day on mathematical equations. - There are two levels at the game: rookie and genius. 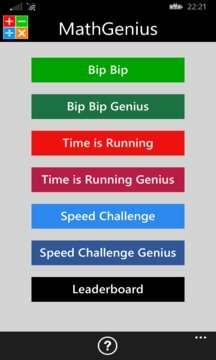 - And three types of games: Bip bip, Time is Running and Speed Challenge. Play a few rounds of MathGenius every day and you will be amazed by how fast you improve on your mathematical skills. Free version is fully functional and ad-supported.